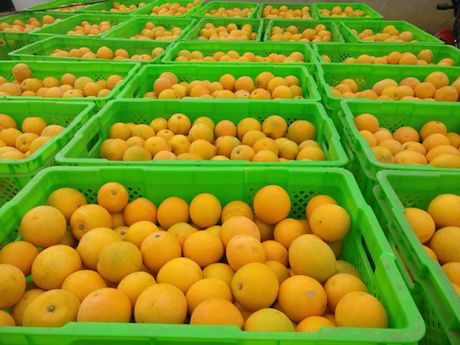 China: "Yunnan Xinping Chu orange enters the market in bulk"
Xinping County, Yunnan Province is a famous Chu orange planting base. 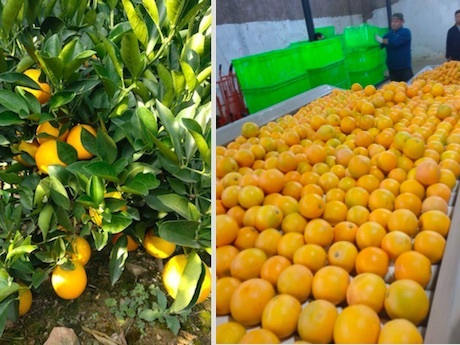 After years of development, the “Chu Orange” has brought Yunnan's sugar orange production into a fairly mature stage with its excellent quality and taste. The total output has reached more than 1 million tons. Xinping County has also become the cradle of high-quality sugar oranges with its unique temperate climate and river valley topography. This year's production season is in full swing. Freshplaza interviewed Mr. Hu of Xinping Hot Valley Rose Agriculture Development Co., Ltd.
"This year's sugar orange production season kicked off in mid-September and will continue until the end of December. In general, the market has been running relatively stable so far, and the current price dropped to about 3-4 yuan per 0.5 kilogram compared with the beginning of the season when they first hit the market in bulk. But the price adjustment was within a reasonable range." “Compared with last year, we are very pleased to see that farmers and buyers have become more rational in this year’s operation and have grasped the importance of timing the sales. 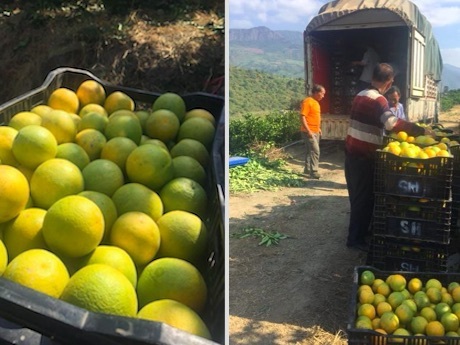 Last year, due to the initial high prices, many people were storing goods after the start of the picking season, resulting in the good sugar oranges not being sold at a good price. The lowest price once fell to 0.50 yuan per jin, and sellers has suffered heavy losses." 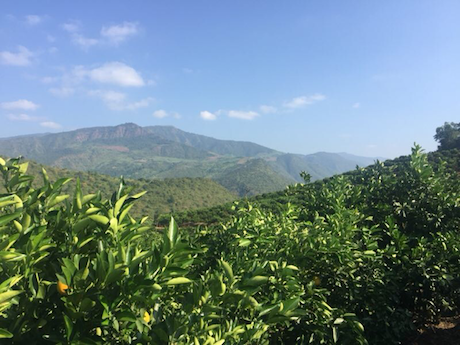 “In Yunnan, Xinping County is not the only sugar orange producing area, but it is the production area where ecological conditions are most conducive to the growth of sugar orange. Ample light and heat resources provide natural resources for the development of forest fruit industry. In particular, the Ailaoshan river valley is the largest river valley in the country, with an appropriate elevation, which makes the local sugar orange ripen earlier and has a higher sugar content." “Although we have a unique natural advantage in planting, like most other citrus-producing areas, we are also facing the threat of pests and diseases, such as Huanglong disease. 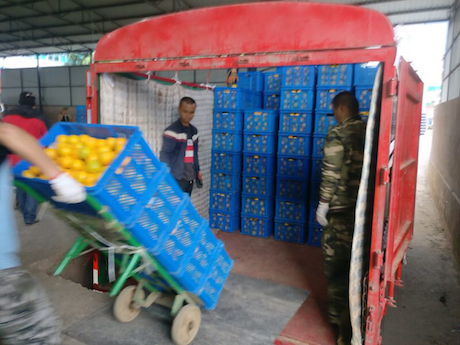 But for us, this is not a big problem: first the sugar orange industry in Xinping County started its development more than 10 years ago. After 5 years, it began to enter the scale development section. The residual bacteria did not form an invasive threat in the soil. Secondly, the wind in the valley was very big and the bacteria were very easy to be dispelled. Again, our fertilization and water control work is done very well, which inhibits the reproduction of germs to the greatest extent. Of course, proper drug control is also crucial." “We are co-planting, controlling, and selling rock sugar oranges with local cooperatives in Xinping County, Yunxi, Yunnan. Through our traditional sales model and e-commerce platform, our sugar orange is sold under our own brand 'Hot Valley Rose Sugar Orange' and our client's own brand to wholesale markets in first-tier cities such as Beijing. Although at this stage we are still exporting, we are ready to export more. We firmly believe that with the good quality of our sugar orange, once we enter overseas markets, they will immediately receive the favor of consumers. In the future, while steadily developing the existing market, we hope to join hands with overseas buyers with purchasing interests to jointly explore overseas markets and let more consumers taste the unique Chinese sugar orange." Xinping Hot Valley Rose Agriculture Development Co., Ltd.